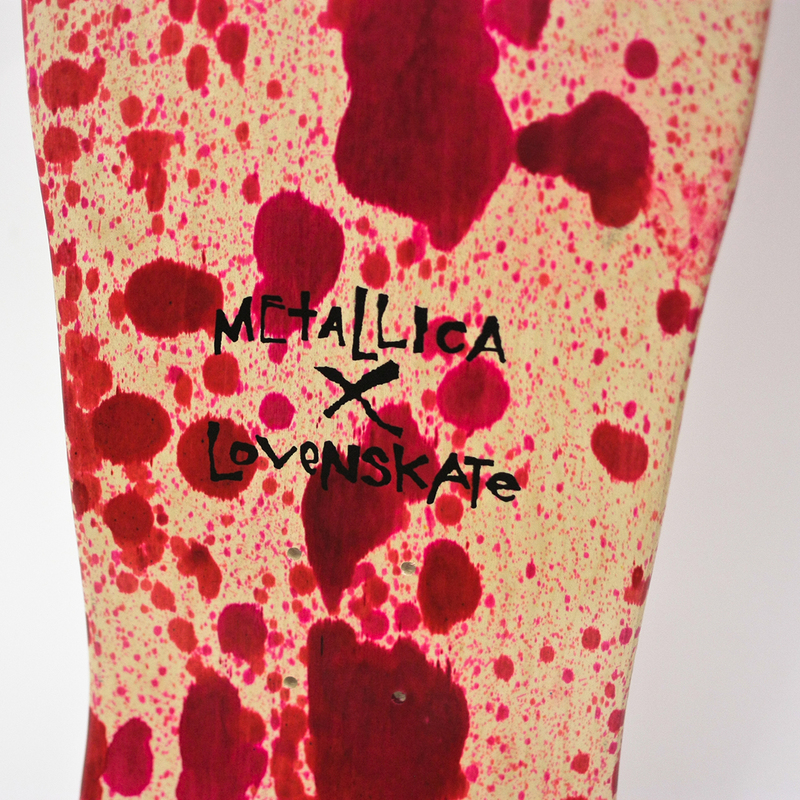 The latest collaboration with London’s Lovenskate is a blood thirsty take on Kill Em All on the 9.5” Zorlove shape, featuring an all over blood splatter finish that makes each board a unique item as no two finishes are the same. 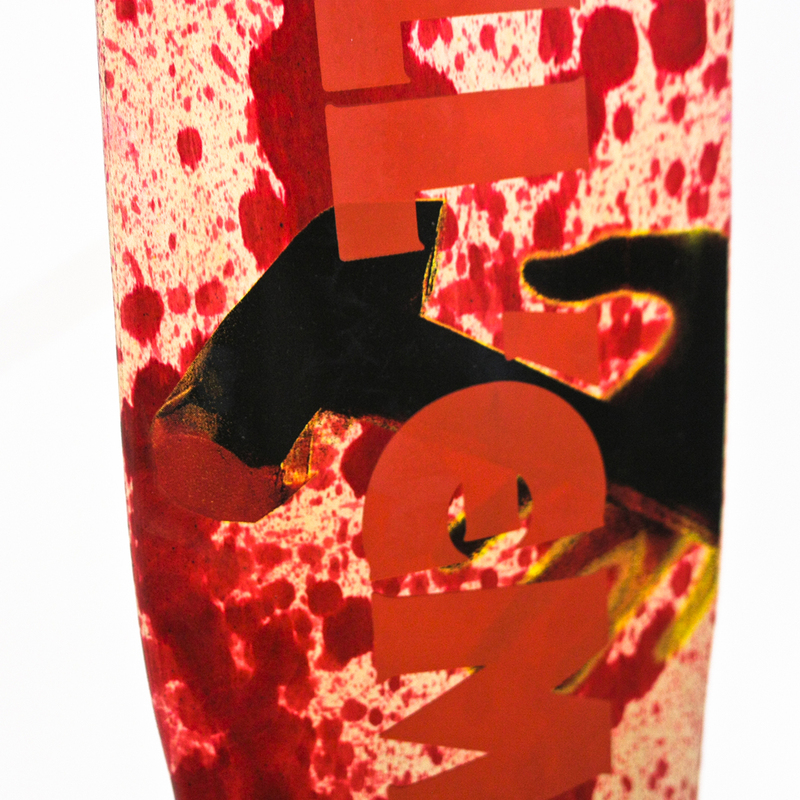 The boards are as ever hand shaped, stained and screened to the highest quality. 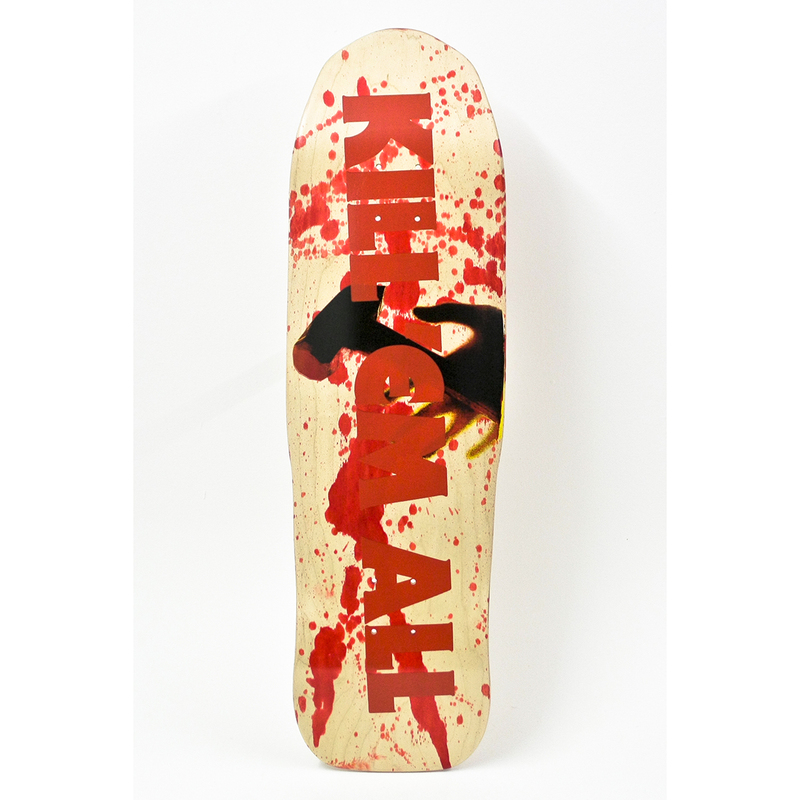 Lovenskate have gone with the classic RTL album cover, hand screened on a blue stained, old school pool shaped board which is tapered 8.7” to 8.3”. 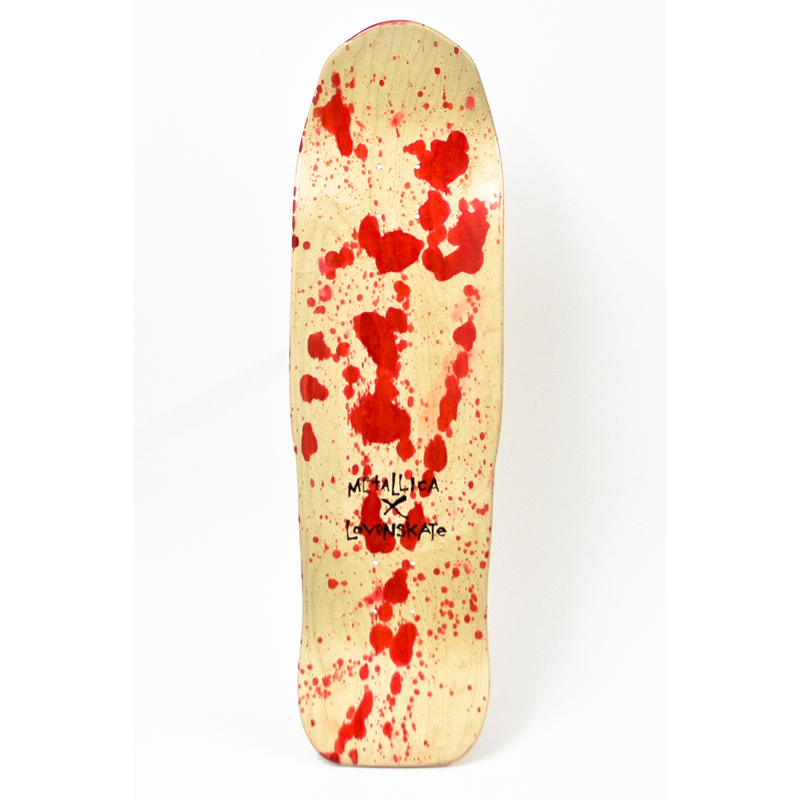 All boards are hand shaped, stained and screened to the highest quality.